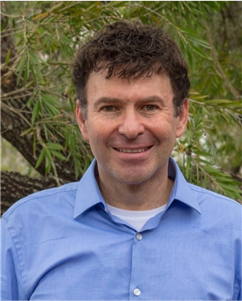 Dr. Ron Shemesh is a published author in the medical textbook, Food and Nutrients in Disease Management, and a medical doctor with over 20 years expertise in integrative and holistic medicine in addition to being a VConfidence approved physician who is singly dedicated to helping women improve their feminine quality of life the healthy and holistic way. Dr. Shemesh’s concern, kindness and caring approach distinguish him, along with his commitment to spending time with his patients, offering them a range of options, and being deeply knowledgeable along with making absolutely certain that his patients receive the best possible care. A frequent guest on local and national radio and television shows, Dr. Shemesh has been seen and heard on the Discovery Channel, Healthy Talk Radio hosted by Deborah Ray, and more. Dr. Shemesh also conducts workshops for corporations focusing on improved health and reduction of healthcare costs by motivating and supporting employees to pursue and maintain healthy lifestyle choices. Dr. Shemesh has board certification by the American Board of Holistic Medicine, certification by the American Academy of Anti-Aging and Regenerative Medicine, and the American College of Obstetrics and Gynecology. Dr. Shemesh pursued his medical residency program in Obstetrics and Gynecology at New York University Medical Center, where he remained to complete subspecialty training in pelvic surgery. He then served as a clinical instructor teaching residents the traditional surgical and medical approaches to disease management. Professional yet personal and a good listener, extremely knowledgeable and focused not just on physical well-being but also emotionally & spiritually as well, Dr. Shemesh is concerned with identifying the root causes of health imbalances by creating individualized care plans that can get you started on the road to complete health, incorporating a variety of scientifically based modalities of care from around the world, that address all interconnected aspects of our well-being – mind, body, and spirit. Dr. Shemesh believes that when he takes the time to really get to know his patients and expresses an interest in their lives that his patients are both happier and heal more quickly, and spending more time than is typically expected by a doctor has yielded amazing results for Dr. Shemesh’s patients. As a VConfidence approved physician, Dr. Shemesh is dedicated to helping you achieve feminine fulfillment as part of a holistic approach to life, so contact Dr. Shemesh now to arrange for your complimentary consultation.